Photo courtesy Half Moon Bay Review dated 15 February 2012. In the winter of 1861-62, John L. Sears settled in the mountains 17 miles from Redwood City. 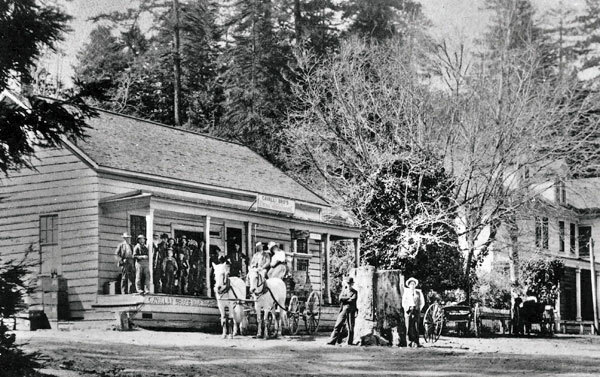 He named the place La Honda and built a store that was sometimes called the 'Bandit-Built Store' because two men that he employed, Jim and Bob Younger, newcomers to the area, were later proved to be members of the James Boys gang. The store is gone and we were unable to locate a commemorative plaque.